Your car’s radiator is one of its most important auto parts. When your radiator fails as you are driving down the road, this roadside emergency could leave you stranded until help arrives. To ensure that your radiator is in good shape for all of your driving needs, it is a great idea to schedule auto repair services at the first sign of an issue. An auto mechanic near Santa Clara can provide you with all of the services and car parts you need to keep your vehicle in great driving condition. Here is an overview of some of the most common car radiator problems. The thermostat is responsible for monitoring the temperature in your car and determining how much coolant is required to prevent overheating. If your thermostat breaks or fails as you are driving, your car can overheat very quickly. When a car overheats, the radiator can also fail. By having your mechanic check your thermostat at regular intervals, you can prevent this auto maintenance emergency. performed as a part of your regular maintenance schedule. In order to deliver coolant to your engine, your radiator relies on a part called a water pump. The water pump pressurizes the coolant, providing the fluid with enough force to travel between the engine and the radiator. If your water pump fails, your cooling system will no longer be able to provide coolant to the engine. 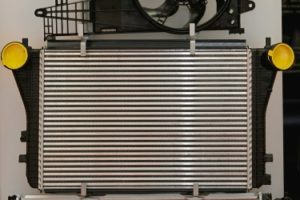 In the event that you experience one of these common radiator problems, you should be sure to contact your mechanic right away.